Don’t — Mind The Gap! If you’ve ever visited London, you’ve heard the ubiquitous phrase, “Mind the Gap!” Of course, that caution is referring to stepping safely aboard the amazing London underground transportation system. Well, in the world of work, this phrase has a different meaning. More people today who are trying to enter, or return to, the workforce have gaps in their resumes. They are really concerned about how potential employers will view them and whether they can ever “catch up” after these lapses in their work history. If this describes you, here is some advice to help you move forward. I challenge you to look at it differently. There is no such thing as “just a.” Have you been volunteering for your congregation or a local organization? Are you writing or editing a community newsletter? Are you active in your child’s school PTA? Have you been managing care for a loved one, raising a child with special needs, or serving as an advocate for an aging parent? These activities all require important skills that you may have been exercising and that could prove useful in the job market. Secondly, research careers online and try to match your skills with those that are necessary in jobs that interest you. A great resource is www.GatewayToCareers.com. Look at the descriptions and try to find some of the same skills that you’ve been doing — just in a different environment. These skills are often transferable to other careers. If you don’t have the skills for a job you are interested in, think about how to get the skills that you don’t have right now. Perhaps you could attend a class or take a webinar. If you are lucky enough to land an interview, you will probably be asked to answer a challenging question like, “Why have you been out of work so long?” or “What have you been doing during your time away from work?” You can take a deep breath and proudly tell them that you have been volunteering and/or taking classes to build important skills. You can also assure them, with confidence in yourself, that if they give you a chance, they will have a motivated, talented and hard-working employee. That statement should keep your candidacy still in the running. It can feel like a scary new world out there, but I encourage you, please don’t be anxious or afraid! Searching for a job is not so bad if you take it step by step and understand how to make the most of your strengths and experience. You have strong skills, the ability to learn, and the motivation to make a change. Don’t just “mind the gap.” Embrace it and take that train to your future! 3 Responses to Don’t — Mind The Gap! 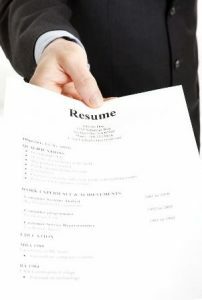 2) You have a wonderful opportunity to add a compelling experience and story to your life resume. No one ever said that all work has to be paid work. People admire volunteerism because it shows that a person has character and is willing to give without expecting rewards.